Stuck on a Christmas present for a bride-to-be or a newlywed couple? Then here at County Wedding Magazines HQ with think these new items from Team Hen would be rather fitting. 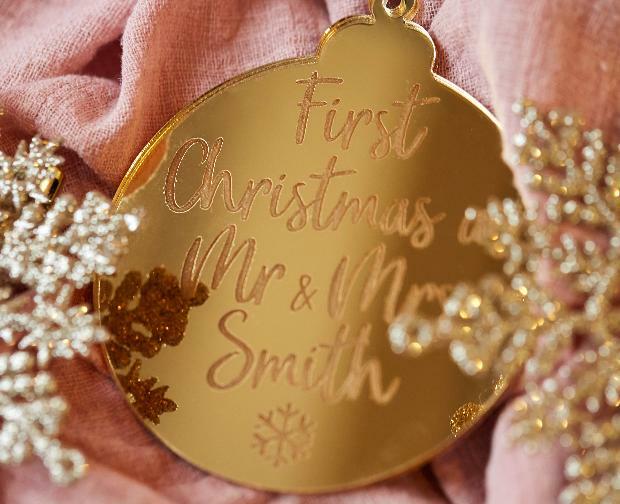 Then new, engraved, 'Last Christmas as a Miss' and personalised 'First Christmas as Mr & Mrs' baubles from Team Hen will be the perfect winter wedding gift. Each bauble is individually made to order, and is presented in an organza bag. The baubles are available to buy in rose gold, gold or silver, which look great on any tree, and come with a matching organza ribbon. This is a truly special Christmas decoration that your loved ones can treasure forever. Last Christmas as a Miss bauble, £6.99. Personalised First Christmas as Mr & Mrs bauble, £7.99.